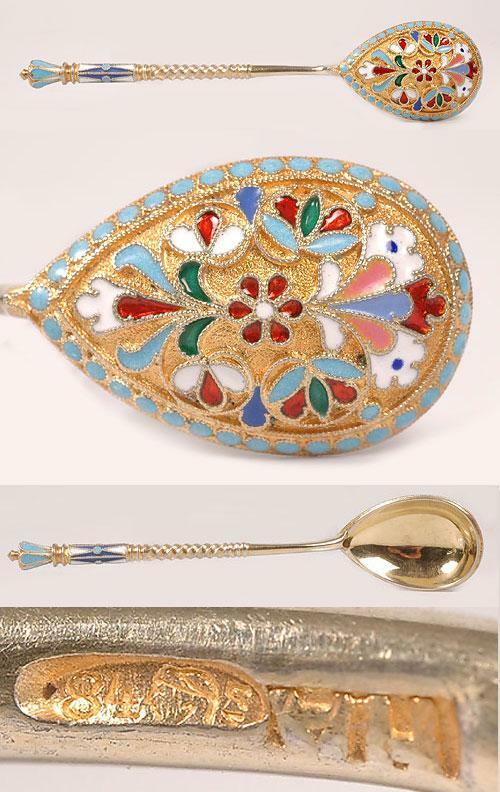 Russian gilded silver and multicolor cloisonne enamel demitasse spoon, marked with the cyrillic maker's initials of "N.A. "(Nikolay Alekseev), Moscow, 1896-1908; the reverse of the bowls adorned with vibrantly colored enamel foliage against gilded grounds, the edges finished with rows of turquoise beading. Length 4.25".